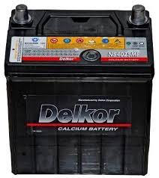 Dry batteries use acid gel instead of Sulfuric Acid. These are specifically designed for the aviation industry, telecommunications industry, or other industries that need the highest stability. Because of the advantages, this kind of batteries typically has a very high cost. There are many other types of dry batteries, such as phone batteries and laptop batteries. But many people are confused about how to use and preserve them for durability. In The Use and Maintenance of Dry Batteries, I want to share with you some tips to help inform you of the best ways to use and maintain your dry batteries. Check the conditions of the battery. The Dry Sealed batteries are pre-loaded with power before leaving the factory, so they can be used immediately. However, the manufacturer’s advice is that you recharge your batteries before using them. During the installation process, use caution to avoid short-circuiting. Both ends can explode or burn the cylinder. Check the voltage before using. If the battery’s voltage is approximately 2.09V/single battery (equal to 12.54V with 12V battery type), it can be used immediately. If the voltage is less than needed, you need to add more charge to obtain a constant voltage. When using the battery, you’ll have to regularly test, add distilled water, and electric service ratio. As the battery discharges, if the voltage drops to 1.80V/compartment (respectively U = 10.80V with 12V battery type), you must stop discharging immediately and recharge the battery to make sure that your battery provides enough power. Check the battery’s package before opening. Open the package where you will be using it. Do not lift the battery out of the box by plugging the pile head where electrical power is conducted. You should hold on the bottom to lift your battery up. After taking the battery out of the box, you need to check the outside of the battery. If you see that a battery is still intact, you can carry out to install. You should place the battery in the lowest position possible in the machine. Remember not to set up your battery near heat sources, such as transformers or fireplaces. Match the anode of the battery with the anode of charge machine, and the cathode of the battery with the cathode of charge machine. Continuously charge in voltage mode U = 2.40V ~ 2.50V (with 2V battery type) and U = 14.4 ~ 14.5V (with 2V battery type). Maximum load line should be less than 1/4 of the capacity of the battery. Remove the battery from the device or the charger when not in use. Store it in dry and cool conditions. When the batteries are stored unused for a long time, they should be recharged before using. If you do not use a new dry sealed battery, you must store it in dry and cool place. Avoid short circuiting. If you stop using the battery for a period of time, it must be cleaned and preserved in dry or cool place. Additional periodic charging will be required. You should clean the battery with a dry or damp cotton cloth. Do not use any solvents, such as oil, kerosene, or paint thinner. You should avoid exposing the battery to sparks. You should avoid disassembling batteries, whether old or new, because it can lead to damage the battery or the device. The battery should be used and stored between 5° C to 30° C. This will extend the life expectancy of the battery. If you follow these tips, you should be able to keep your battery working perfectly for a long time. If you have any further questions or comments, please don’t hesitate to comment below. Thank you!